Manufacturer of a wide range of products which include metal fasteners, brass aldrop and door lock. By keeping track with market development, we are engaged in offering a wide gamut of Metal Fasteners. 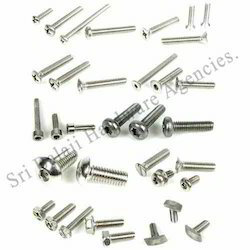 The offered fasteners are well manufactured at vendors end by using finest quality material. Along with that, these fasteners are properly tested on various production stages by vendors quality controllers. Customers can avail these fasteners from us as per their requirements at competitive rates. We hold expertise in offering our clients a broad variety of Brass Aldrop. Used in various establishments on doors, the offered aldrops are provided in numerous stipulations to choose. 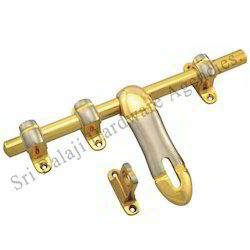 These aldrops are manufactured at vendors end by utilizing finest quality brass, zinc, iron and aluminum and leading technology. Our honored patrons can avail the offered aldrops from us in customized options at their budget.